Many people know very little about Cinco de Mayo, yet it’s the most widely celebrated Mexican holiday in the United States. Sure, most people know that it falls on the fifth of May (as the name suggests) and that it’s a time for fiestas. But understanding the historical significance behind Cinco de Mayo and why it’s celebrated here in the states is important. By having a true understanding of this holiday, you can better appreciate it when it approaches. In Mexico, Cinco de Mayo signifies the Mexican army’s victory over the French forces at the Battle of Puebla in 1862. This battle took place on the fifth of May. In a lot of cases, this date is confused for Mexico’s Independence Day, but that didn’t take place until September 16. What was perhaps most significant about this battle and Mexico’s subsequent victory was the fact that the Mexican army was outnumbered nearly 8,000 to 4,000, yet they still emerged victorious. Not to mention, since the Mexican victory at the Battle of Puebla, European forces have not invaded any country in the Americas. Why Does the US Celebrate Cinco de Mayo? Since Cinco de Mayo is a Mexican holiday, you may understandably be wondering why it’s being celebrated so widely in the United States. Well, one of the main reasons for that is, as previously mentioned, the fact that no European forces have attempted to occupy any country in the Americas since the Battle of Puebla. Had the French been victorious in the battle and subsequently took over Mexico, there’s a good chance that they would have then attempted to occupy the American south. At the time, the Civil War was already going on in the United States, so it would have been a great deal of strain on the United States military to protect itself from the French at the same time civil unrest was occurring within the country. As such, Cinco de Mayo is just as much a celebration in Mexico as it is in the United States, in many ways. There are many different ways in which Cinco de Mayo in Arizona is commonly celebrated. For starters, parades are quite a common form of celebration, as are fiestas. During these fiestas and festivals, it’s tradition to serve up signature Mexican foods and beverages as well as playing signature Mexican tunes. There’s also a ton of dancing and celebrations! There’s really no right or wrong way to celebrate the holiday! From hosting a simple Cinco de Mayo party with a taco and margarita bar to attending a full-fledged city-wide parade, what’s most important is that you’re celebrating the significance of the day. Now that you’re more aware of the significance and reasoning around Cinco de Mayo, both in the United States and Mexico, you can have even more fun when it comes time to celebrate when May 5th rolls around this year. 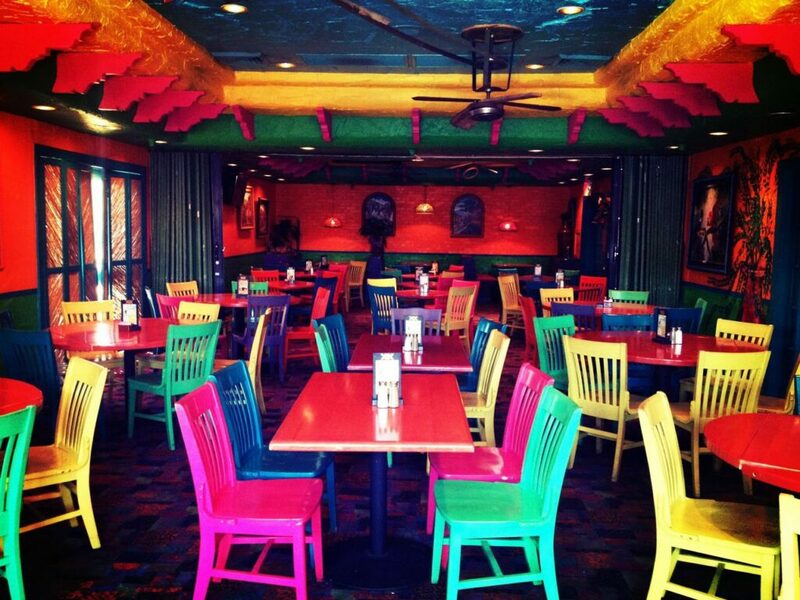 Come join your local Macayo’s Mexican Kitchen as we celebrate Cinco throughout the entire month of April!